New online marketplace Visualact has made 117 materials for Maya and the Arnold renderer available to download for free. 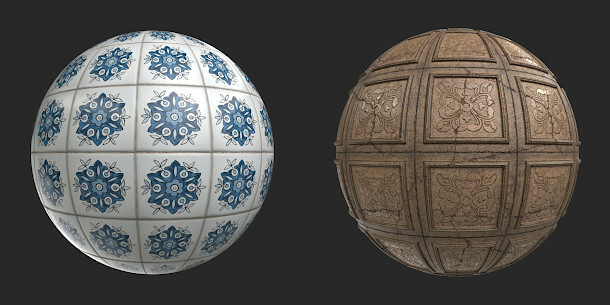 The materials, which range from industrial metal and plastic sheeting to ceramic tiles and abstract designs, are provided as Maya scene files with 2,048 x 2,048px texture maps, and are licensed for commercial use. The Visualact website also includes commercial materials created by 3D artist Yasush Azarnoush and available individually, or as part of its Survival Shader Pack. Other commercial resources include readymade studio lighting setups for Maya and 3D scans of rocks.